Mitchell knows so little about her horse’s start that she can sum up his background in just a few short sentences. Fueled by a tight budget, and a liking for Bear’s statuesque figure and kind eye – Mitchell remembers calling on a Craigslist ad that featured the young gelding. “I went to see him and I just felt this connection with him right away and I thought that this could be a fun horse to play around with for awhile.” According to Mitchell, Bear was the “the poor man’s warmblood” she’d been searching for. 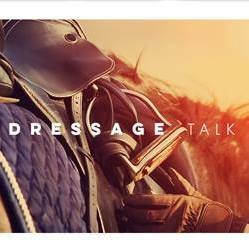 Mitchell admits that despite a wonderful personality and a workhorse mentality – the juggernaut gelding wasn’t particularly “built” for dressage. 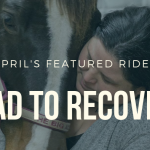 To address Bear’s physical challenges Mitchell enlisted the help of Washington-based trainer Alyssa Pitts, and together they began showing the horse how to use his body correctly. As Bear came back into regular training Mitchell and Pitts realized that something was lacking – his energy level didn’t increase as they had anticipated. Addressing Bear’s health quickly became one of the first steps towards getting him in top physical shape for dressage. With Bear’s energy up Mitchell and her horse began their accession up the levels. However, his heavy breathing didn’t improved with fitness and eventually a vet recommended that they take action. Finally, Mitchell felt that Bear was physically at his peak and feeling truly comfortable in his work. However, that didn’t mean that dressage was easy for the draft-cross. “It’s been a process of teaching him how to actually push because it just isn’t in his DNA to do that” says Mitchell. Mitchell realized early on that some movements like extensions would always be very physically challenging for Bear, but she learned to find satisfaction in their training progression. 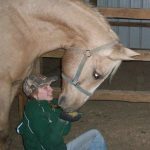 Rather than placing too much value in competitive scores and marks, Mitchell focused on helping her horse to perform to the best of his abilities. As Mitchell competed in Open classes against other professionals she was aware that Bear was often the only “non-traditional” mount among a sea of fancy warmbloods. For Mitchell, this meant learning to accept that their “best” wouldn’t always be best on the scoreboard. Mitchell admits though that adopting the mentality of always being in competition with herself, rather than other riders and horses at shows, has been a challenging process. She credits both Pitts and Bear for giving her the courage to continue despite disappointments. Mitchell’s perseverance and positivity paid off this year when against all odds she earned her USDF Gold Medal on Bear. Mitchell and Bear’s Gold Medal would be commendable under any circumstances, but turning an abandoned draft-cross into a Grand Prix dressage horse is nothing short of a Cinderella story. Bear is proof that dressage horses can be found in Europe, or just on Craigslist. He is validation that when a horse feels good in his body he can achieve incredible things; and regardless of size, gender, breeding, and background any horse can harbor the mind of a champion. Just ask Mitchell, and she’ll tell you. 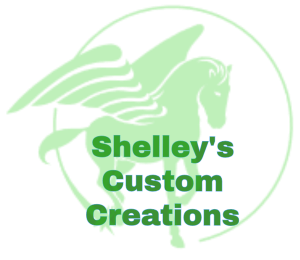 About the author: Erin is an adult amateur dressage rider that loves talking about dressage. 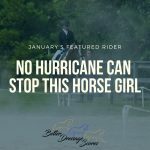 She’s been riding since elementary school, and was inspired to start dressage when she went over one too many jumps without her Thoroughbred. At the time, she had no idea what dressage was, but was told a little dressage training could benefit them. It didn’t take her long to get sucked ​into the sport and before long, posters of dressage horses replaced those of jumpers in her bedroom. 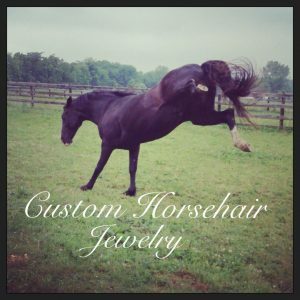 Check out her blog at www.dressagetalk.com. ​Want us to feature your article? 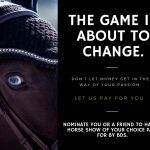 Send us an e-mail at info@betterdressagescores.com!